The Wimmera Machinery Field Days have just taken place up in Horsham, and they’ve brought to light an interesting conversation. Are Field Days worth the expense? Field Days began before the days of the Internet. If you wanted to compare brands, or purchase from beyond your local dealer, field days gave you that opportunity. Now, if you want a side-by-side comparison of two machinery brands, testimonials on the pros and cons and all the specs you need, you can just go straight to Google and find the information in no time. You don’t have to travel hours to find what you’re looking for. 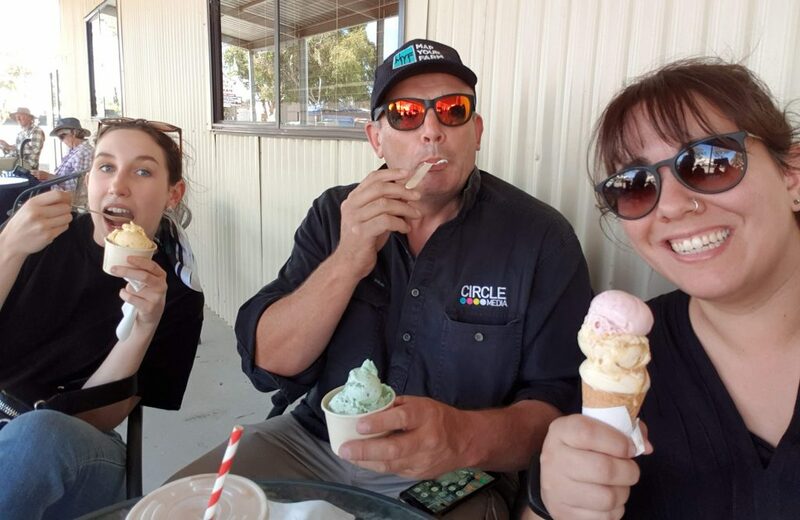 At Circle Media we’re no strangers to field days, so we understand there’s a long list of pros and cons attached to going. Today we’re going to run you through them and start the conversation. Going to a field day gives people the opportunity to see everything in person. No matter how good your photography is and how strong your social media profile is, nothing will do your machinery justice like seeing it in person. It gives people the chance to get up close and personal and see all the fine details. It also allows people to compare your machinery to your competitors, and if you’re winning the side by side this is a great opportunity. Field Days bring people together from all over the state. Given the large commitment that is working in agriculture, catching up with peer farmers is easier said than done. It’s a great place to talk to people about their experiences with their machinery, how it’s operating and if they’re happy with it, which is a valuable reference point before making your next investment. If you’ve got a new launch people will get excited about, field days are a great place to debut it. It shows your competitors you’re ahead of the curve and gives your customers an exclusive chance to see your new product. If you advertise it well enough, people will travel just to see you. 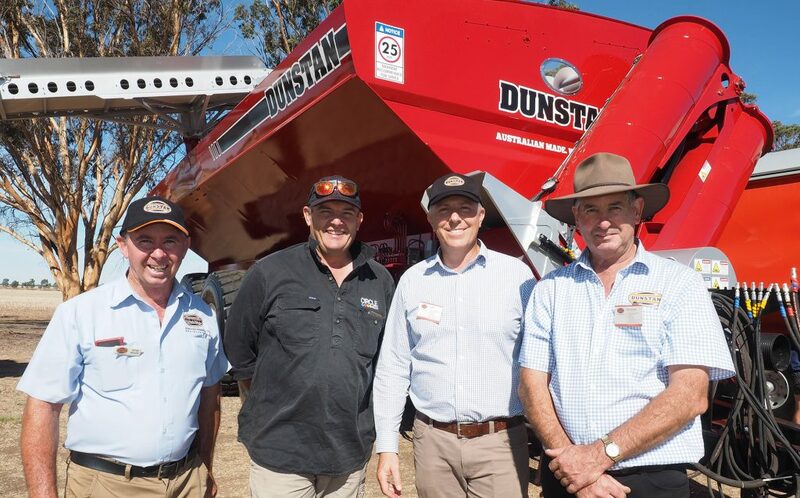 Businesses will often bring the whole team out to field days, to make new connections and talk to valued customers. This includes the people you wouldn’t always get to interact with, like the people behind the brand or the innovators behind the products. Make good use of field days by getting expert advice and exclusive insights into the machinery. Field days can feel like a waste for businesses, particularly when you’re not spending your time making new sales. But, field days are a valuable opportunity to make new connections and potential contacts. Putting your best sales force forwards to make an impressive first impression can pay off down the line. Plus, it’s a good chance to catch up with your loyal clients all in one place and make them feel valued. Don’t underestimate the importance of these connections. Many of the pros of field days apply to the people attending, rather than the businesses who are paying out of their pocket to be there, but it is a good chance to start a sale, even if you don’t complete it. That being said, field days aren’t all they’re cracked up to be. Field days are a serious investment for businesses. It’s expensive to drive all the machinery to the field day and when you have to drag it all home afterwards the costs add up quickly. This point is more important than ever for businesses who don’t get many sales at the event. It can very quickly feel like a large investment for little return. Most businesses will bring all their main sales people to field days. They’re a great opportunity to make new contacts and potentially sales. But if you’re not busy selling machinery at a field day it involves a lot of standing around and you end up losing valuable time where you could be making sales. Some people come to field days to buy. They walk in knowing where to go and they don’t mess around. But most people come for the atmosphere of the day. To see what’s new and have a browse. This makes field days particularly hard for businesses with large ticket items. You’re unlikely to make a sale on a whim and that makes the event feel that much longer. Businesses might look on field days more favourable if it was only one week a year, but it’s not. When you start marking your calendar for field days the weeks quickly add up. And the time you’re spending there only gets longer when you factor in transporting your machinery and your sales force. They’re not a small commitment and they come around quickly. In short, field days are hard work and they don’t bring the returns they once did. This fact is causing businesses to seriously question their value. But, ultimately the risk of not attending and losing market share outweighs the cost of going. It’s an interesting conversation we’re having and we’re not the only one having second thoughts. At this time, going to field days feels like an obligation but it’s not one we’re giving up. So if you are at a field day you should at least be making the most of it. Make sure you’re making the most of social media, advertise your presence at the field day and encourage people to come and say hello. Facebook live videos showing off your site and your team hard at work makes for great content. Shoot some video. If you’re not flat out making sales then field days are a great chance to get your sales team in front of your products and get some content up your sleeve. You’ve got valued customers walking around so think about getting some testimonials about their personal experience with your machinery. You’ve got all the resources you need in one place, so make the most of your time. If you’re looking for advice on how to get the best social media content out of your field day, talk to the team at Circle Media today.